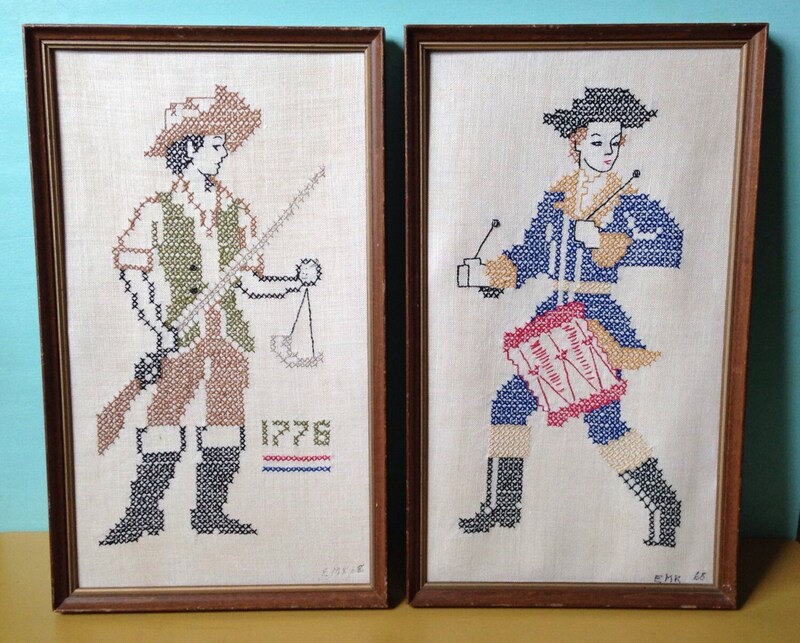 Vintage pair of framed, cross stitch of two different Revolutionary War soldiers. Both handmade in either 1965 or 1968 (handwritten in corner, not very clear). Left: a soldier in plain clothes with a hat and boots, holding his musket and a scale. 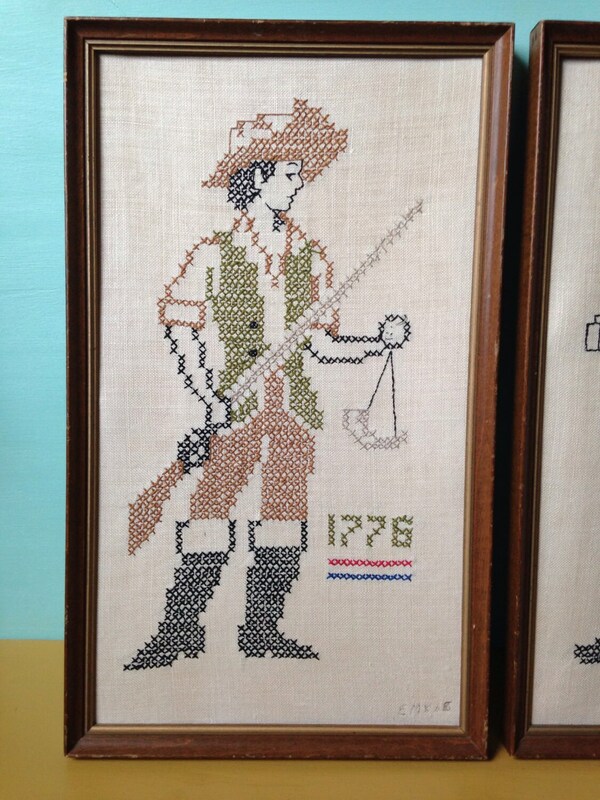 The year '1776' is stitched next to him. 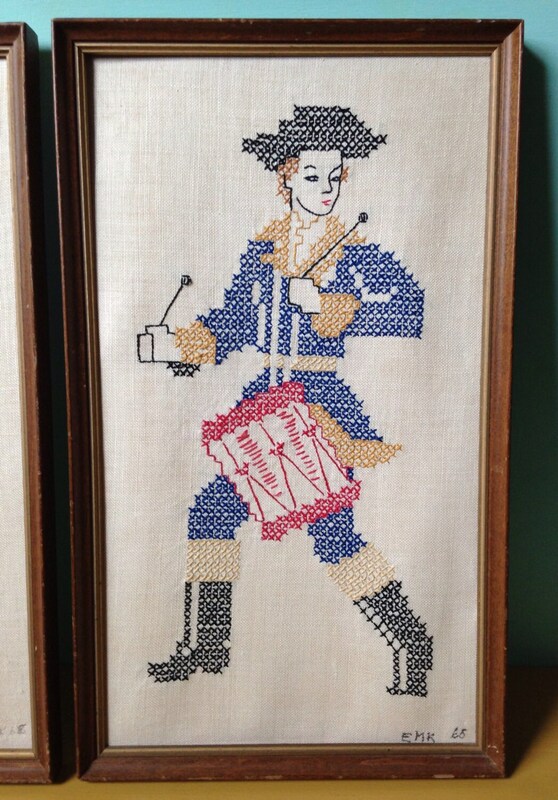 Right: a soldier in a blue, patriotic uniform with a marching drum and drumsticks. Both are very clean; no flaws whatsoever to note. 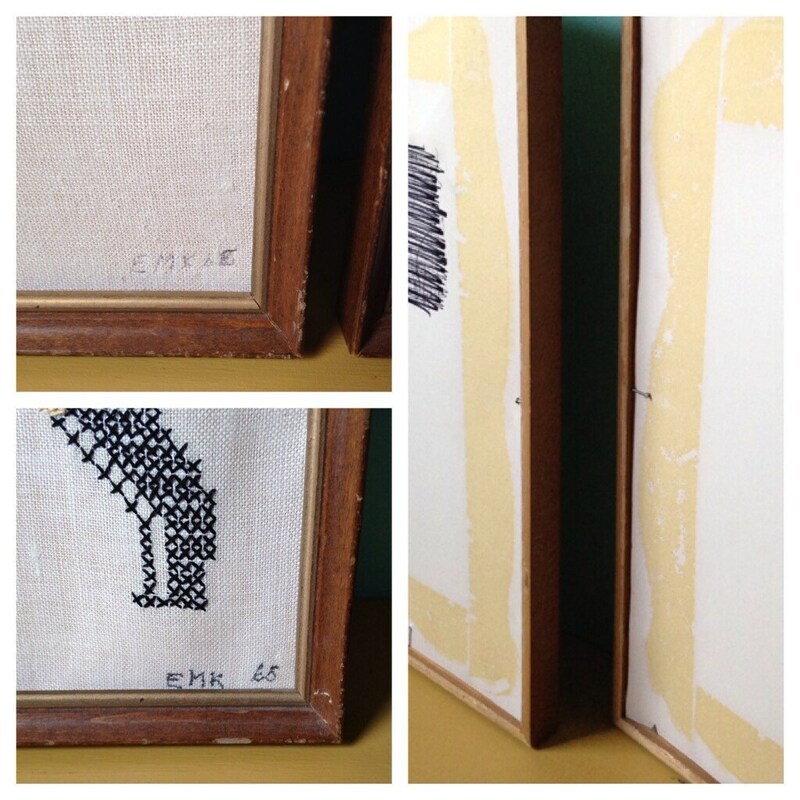 Both are framed; frames do not have glass. 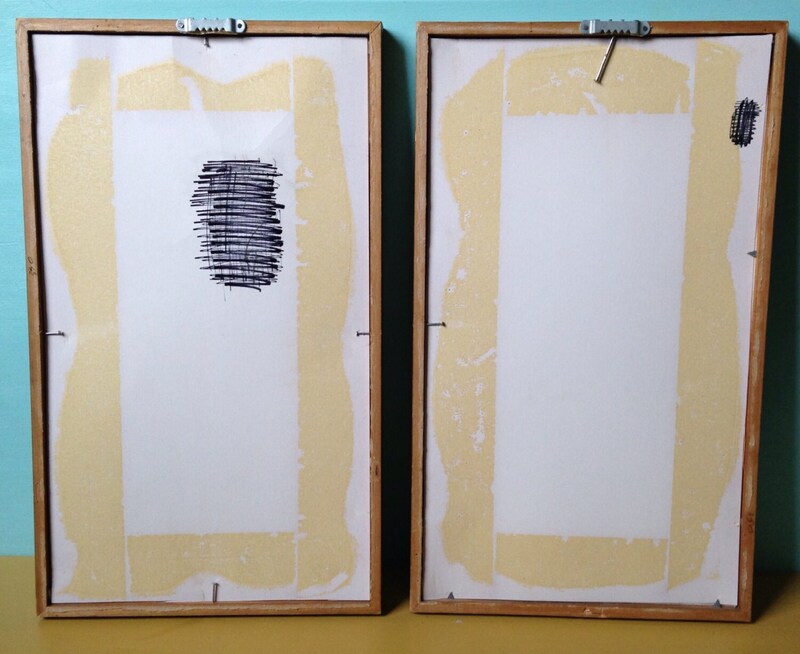 The backs are secured with nails and shiny, thin card stock paper. Each piece: 14.75" x 8.5" x 1"